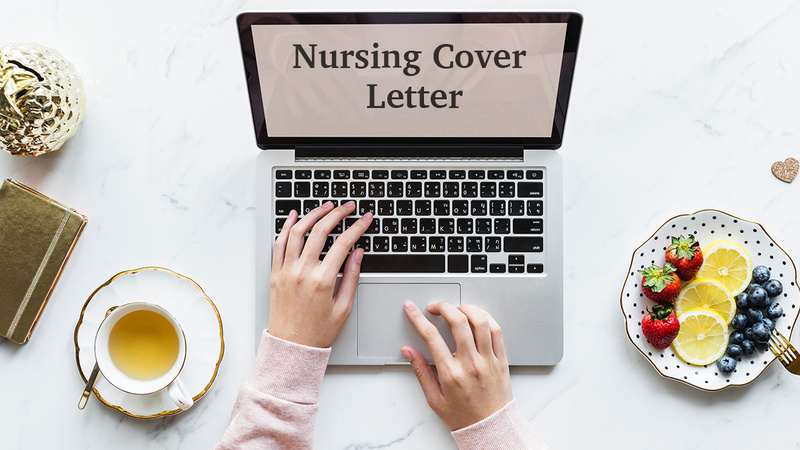 Like other healthcare professionals in the job marketplace, nurses need to utilize well-written cover letters when applying for most positions. While some nursing job applications don’t require such a document, the prudent nurse applicant always has a solid cover letter at the ready -- along with a killer resume, of course. A cover letter shouldn’t just regurgitate what’s on your resume. Rather, it should work synergistically with your resume and should elucidate what you think is most important for a potential employer to know. The true purpose of the application process is to sing your own praises, display your personality and style (within reason, of course), and make the case for the excellent fit between you and them based on the requirements of the posted position and what you know about the institution itself. Using stock phrases like “go-getter” or “detail-oriented” are overused; try to find other ways to describe yourself that don’t sound like cover letter clichés. If you have a relevant story that relates to the position you’re applying for, all the better. Please note that spelling, grammar, or punctuation errors are never permissible. If writing and grammar aren’t your strength, hire a career coach or an editor, or have a trusted friend, colleague, or family member proofread for you. Don’t skimp on this – after all, your cover letter could end up being the key to someone taking a keen interest and offering an interview. A basic skeleton structure can set the stage for a strong one-page cover letter. This structure can be modified as needed for various positions and/or institutions. Please accept my enthusiastic application for the _____________ position posted on ___________________. I resonate strongly with your facility’s mission of _____________________ and your recent accomplishment of __________________. The letter body usually consists of two or three paragraphs. At this point in the document, you’re truly making the case for how you’re the best candidate for the position and the corporate culture. Use this section to call attention to the ways in which your skills, experience, knowledge, or expertise mesh with the needs of the institution. Under my leadership from 2012-2015 as CCU nursing supervisor at _________________, we experienced a 35% decrease in nosocomial infections, 90% nurse retention, and a highly successful follow-up Joint Commission audit demonstrating strict adherence to recommendations from our 2012 audit. In 2015, I received an Employee Excellence Award for my leadership in the CCU and for serving as chairperson of the shared governance council. In the closing paragraph, you reiterate your interest in the position and make clear your desire for further discussion. Refrain from saying what phone number or email address to use to reach you – those are in your letterhead for a reason and don’t need to be unnecessarily reiterated. Thank you so much for your time and consideration. I look forward to hearing from you and discussing how my skills and expertise in _______ intersect with the needs of ____________. When signing off, use “Sincerely”, “Sincerely Yours”, “All the best”, or a similarly professional salutation. Be certain to add your credentials after your typed name and sign above it with your usual signature. Cover letters may seem old-fashioned, but they’re still commonly used and important to master. Not every position will demand one, but you always want to have one ready to customize when the need arises. One thing to realize about cover letters and resumes is that these documents are now often read by HR software programs, essentially bots that scan your documents for the keywords the employer wants to see. If enough keywords aren't picked up by the bots, the resume and cover letter may be discarded. Be sure to win over these non-human resume and cover letter reviewers by reading job descriptions and ads very closely, highlighting the keywords that you feel are central to what the organization is looking for in a candidate, and making sure those keywords and associated phrases are included in your cover letter and resume. There’s always more to say about crafting the perfect cover letter, but the recommendations herein point you in the right direction. Make your cover letters customized to the position and employer, and be sure to make it about you, not some cookie-cutter version of a nurse that you think they want to see. Be yourself, be honest, and use the power of words to help you build the nursing career of your dreams.